Conservation of Frieze of Prophets, Wood Relief — Bernacki & Associates, Inc.
A fine artwork in and of itself, Frieze of Prophets has even more historical significance than meets the eye. 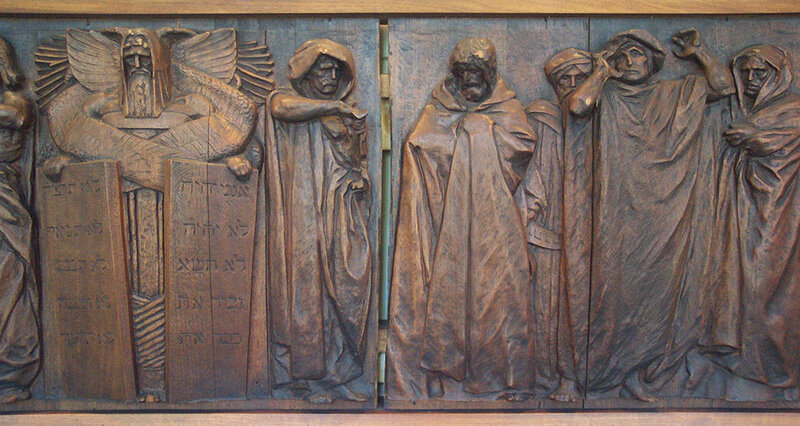 The carved relief is modeled after a mural at the Boston Public Library, also called Frieze of Prophets, by eminent American painter, John Singer Sargent. 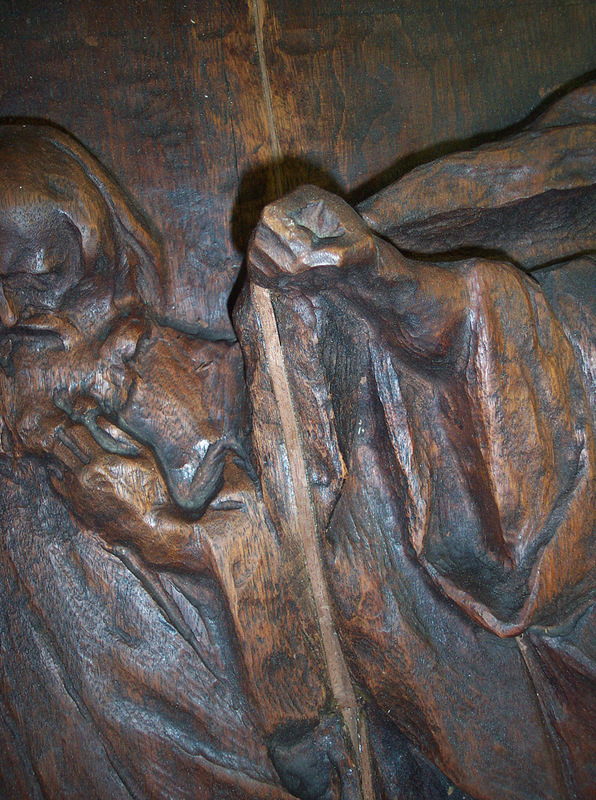 A staple at the Chicago Sinai Congregation, the life of this powerful sculpture was threatened by a dangerous combination of environmental conditions and prior, faulty attempts at repair. An improper mounting hadn’t allowed or anticipated for the wood’s natural contraction and expansion in a dry environment. This resulted in severely split wood and very dry finish. Well aware of the effects of environment on antiques, Bernacki & Associates were more than prepared to rescue the artwork. Major splits were rejoined with animal glue with losses filled with similar wood species selected for matching grain and pattern. Conscious of the dry atmosphere, Bernacki & Associates re-fitted the frame to respond to natural wood movement. An application of conservation wax provided a final layer of protection, allowing this remarkable artwork to continue standing against the elements.